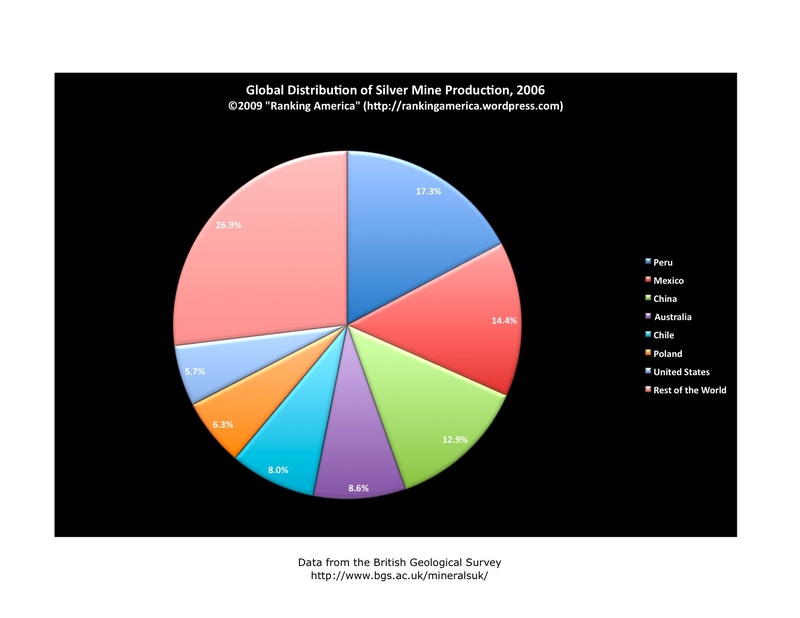 According to the British Geological Survey, in 2006 the United States produced 1,139,500 kilograms of silver from mining, or 5.7% of the world’s total, enough to make the United States rank seventh in that category. Peru ranked first, producing 3470,725 kilograms, or 17.3% of the world total. 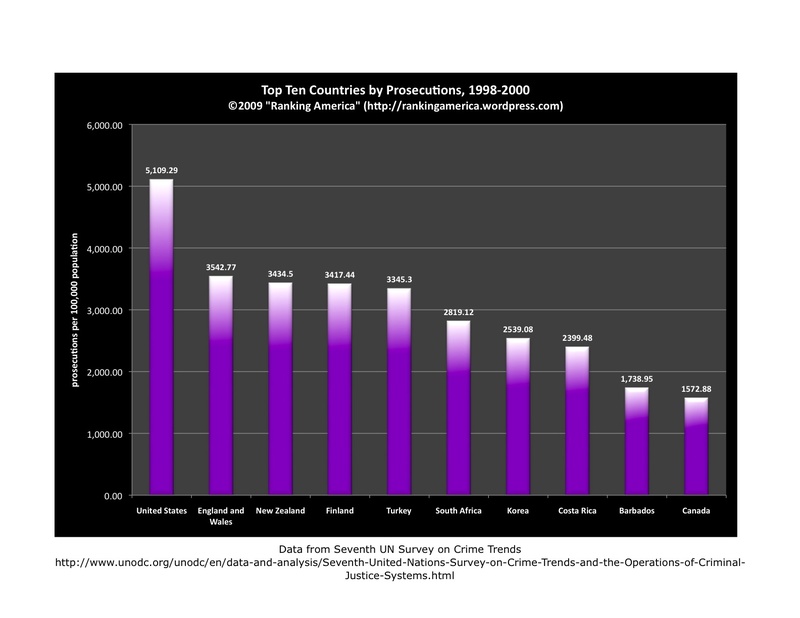 According to the UNODC, in data collected between 1998 and 2000, the United States had a prosecution rate of 5,109.29 per 100,000 Americans, a rate that made the United States rank first in prosecutions.